Assam Postal Circle Recruitment 2019: Good News Aspirants !!! Here is the one more opportunity came from Indian Postal Department Assam Postal Circle for candidates who are looking for settle in Assam Govt Jobs. Recently Assam Government has issued Assam Postal Circle Branch Postmaster, Dak Sevak & Assistant Branch Postmaster notification 2019. This notification is regarding fill up 928 Posts for Branch Postmaster, Dak Sevak & Assistant Branch Postmaster. So, Don’t miss the chance to enter into the Assam Govt job Sector. This is the right time to fill up Assam Branch Postmaster, Dak Sevak & Assistant Branch Postmaster Application form. The candidates who are eligible for this Assam Postal Circle Branch Postmaster, Dak Sevak & Assistant Branch Postmaster Jobs 2019 can apply through the official website. 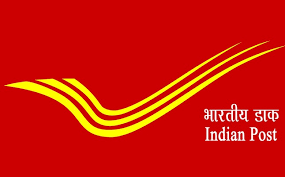 Interested Job Aspirants who are ready to apply for Indian Postal Department Assam Postal Circle 2019 Notification must possess the below-given Eligibility Details. Selection of Candidates for Branch Postmaster, Dak Sevak & Assistant Branch Postmaster posts will be done as per following stages- Eligible candidates will be selected on the basis of performance in Academic merit, Certificates Verification. First of all, Open Official Website i.e., assampost.gov.in. Fill required Details in the Assam Postal Circle Application form and Upload required Documents and Pay Application Fee if Required. Once All details confirmed, Submit and Take the printout of your Assam Postal Circle Application.